Go to the Companies section here. Click on the Add Competitor button. 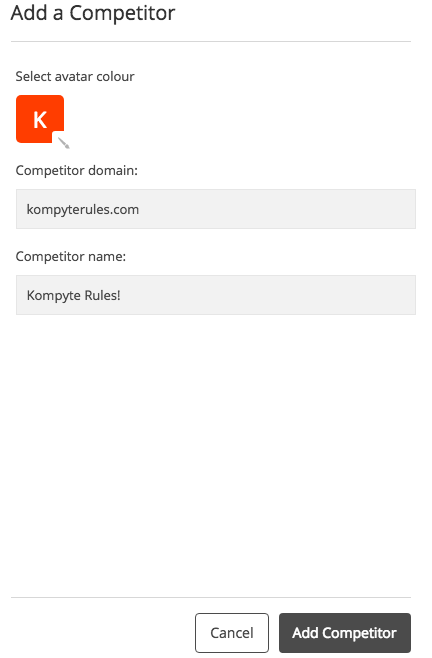 Add the competitor's domain in the 'Competitor domain' field. 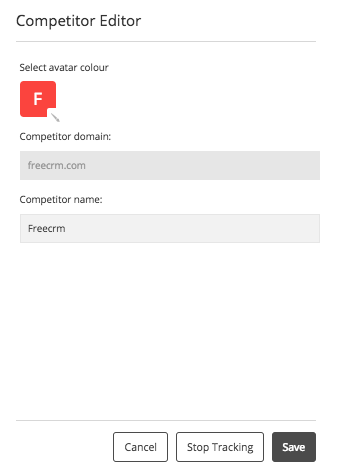 Edit the competitor's name and select a color for their profile. Click on the competitor you want to remove. Click on the Settings tog icon in the top bar. Click the "Stop tracking" button.